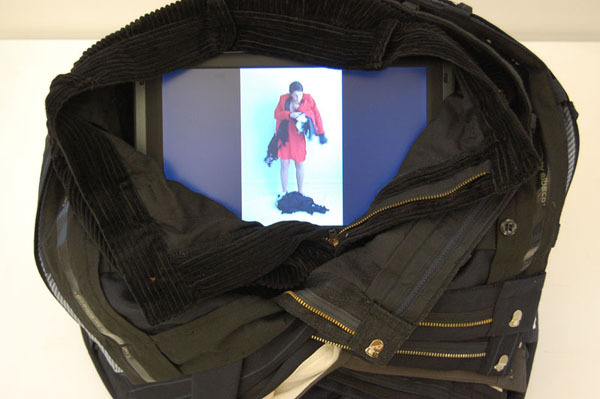 Powersuit Series, 2009. 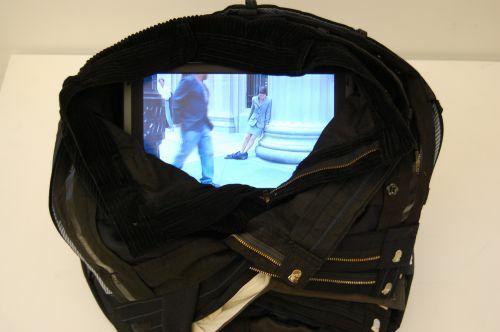 Performance for video, installed in pedestals of pants. 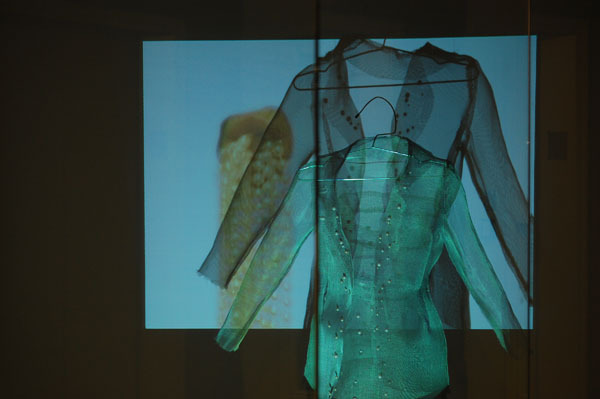 Exhibited at Woman Made Gallery, Chicago, IL, 2009.